Living in Savannah as I do, I have taken a keen interest in the whole Paula Deen fiasco. Paulagate, as I like to call it. I have watched the interviews and the local news coverage talking about the possible impact on our city. I’ve overheard discussions and participated in conversations. My favorite take was Wanda Sykes‘ on Jay Leno. The whole thing reminds me of a giant snowball rolling down a mountain, becoming bigger and bigger and more distorted on its way downhill. Kind of funny but mostly just unbelievable. But the unpleasant episode has made a lot of people stop and think, including me. Not only about racism – the obvious topic – but about my own individual feelings and actions, whether they’re blatant or not. And how my personal history influences my thoughts and actions when it comes to dealing with people of different races and cultures. I was born and raised in Saudi Arabia, on a compound that was, in effect, segregated from the local culture. But my parents, who are both from the South, made a point of socializing with people from various different countries. Among their best friends: Indians, Armenians and Jordanians. I don’t remember ever hearing a derogatory or racist comment coming from either of them. During our time there, we had a “houseboy,” who helped with cleaning and laundry and cooking. He came from Pakistan, and he was sending money back there to his wife and family, who he visited often. He was a part of our family, and I loved him dearly. He would tell me stories about growing up in Karachi. He was not a servant – he was doing a job to make his and his family’s life better. When I heard he had died several years later, I cried. Then I moved back to the South. I spent more time with my grandfather, who told racist jokes. That both surprised and bothered me. What surprised me even more was that my parents thought the jokes were funny. But they just said, “This is the South,” as if that made it okay. I attended UT in Knoxville for a couple of years. I didn’t know anyone there, so at first I hung around with the high school students that attended my mother’s boarding school. A lot of them were from the Middle East and Africa. I remember walking down Cumberland Avenue (aka The Strip) one day with one of them, a boy from Somalia, and I was almost attacked by a white male student. He yelled racial slurs at my friend and called me a whore. It was unnerving, and it made me feel very embarrassed for my friend. A year or two later, I met an African American and spent some time with him. He was actually surprised that I felt comfortable being with him! I got out of Knoxville as soon as I graduated from college. I’m not proud of it, but over the years, and on subsequent trips back to visit my family, I admit that I began to laugh at some of those jokes, and even tell some myself. It’s an easy thing to just go along with the crowd. Way too easy. But I never thought of myself as a racist. And I only used the N word once, when I was a kid, and I had no idea that it was a bad word. The boy I said it to almost beat the crap out of me (sorry Reggie)! I never uttered that word again. Paulagate has brought all this up in me, as I’m sure it has brought the issue up with people all over the country. And I, for one, am going to be more conscientious about my own thoughts and actions. Going along with things is just as bad as doing them yourself. My thoughts on Paula? She is a product of the South, yes, but she also knows better. And as a public figure with a significant empire, she is held to a higher standard. But the fact that her sponsors have been so quick to judge – and to drop her – is even more disturbing. Who among them is so faultless? What I think is, she needs to do something to redeem herself. And I came across this “Open Letter to Paula Deen,” a post incredibly heartfelt and eloquently written by a fellow southerner, an African American. It offers the perfect opportunity for Paula to do something to make things right! Please take a few minutes to read the letter and see if you don’t agree. I’d love to hear your thoughts on Paulagate…and whether the whole thing has made you reevaluate your feelings on the issue of racism. Thank you for writing about this. You have the unique perspective of someone both from the South and not from the South, so you see it both as cultural yet foreign. I’ve been around racist people my whole life (think older relatives, the white-flight from urban L.A., etc. ), but growing up in such a multi-cultural area, it always deeply disturbed me. It still does, and it’s hard for me to understand such attitudes. They are usually both a.) born of ignorance, and b.) fear-based. I too read an interesting take on the whole debacle, about opening up a dialogue now that it’s out in the open (http://www.salon.com/2013/06/28/im_black_and_i_forgive_paula_deen/). My first instinct is to recoil in horror (think, “how ignorant!” and generally condemn the person), but that does nothing to further a dialogue, which this country greatly needs. I too am working on myself. Thanks Natalie! I read the post you linked to – also a thoughtful one. It is encouraging to see the extended hands of forgiveness reaching out… And it is humbling, too! I keep reading posts and thought on this issue, some very heated. I guess the upside to anything like this is it makes us more aware of issues that still need sensitivity and to be addressed, in society, in ourselves. Yes Julie! The bottom line is, we need to be aware of our thoughts and actions, and how they perpetuate stereotypes and, ultimately, contribute to racism. Great post and wonderful perspective. The immediate fallout over Paula’s honesty under oath has been unjustified in my opinion. Society is so quick to judge based on sound bites alone. Facts have become almost incidental. In all the media hoopla. there’s hardly a mention of the lawsuit (Jackson v Deen) or the person who filed it. It took some sleuthing, but I finally found the lawsuit online and read all 33 pages of it. There’s plenty for America to pay attention to there, but they’d rather lynch Paula before the jury has a chance to decide, in a court of law, on the facts of the case that was actually filed. And, if Paula was the racist the media claims her to be, she’s sure managed to pull the wool over a lot of folks eyes for many many years now. It’s truly perplexing. Love your comments! 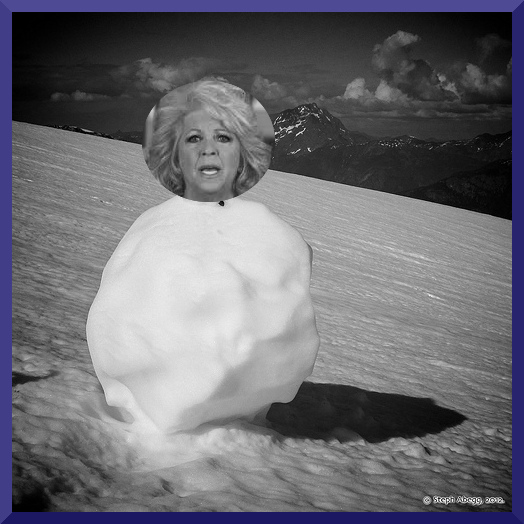 It seems exactly like a lynching!… and pretty doubtful that Paula has fooled us all this time. She is more the “what you see is what you get” type of woman!